6.1 The state as "quasi-abstract"
6.2 The state as "spiritual entity"
States came into existence as people "gradually transferred their allegiance from an individual sovereign (king, duke, prince) to an intangible but territorial political entity, of the state". States are but one of several political orders that emerged from feudal Europe, others being city states, leagues, and empires with universalist claims to authority. Sovereignty is a term that is frequently misused. Up until the 19th century, the radicalized concept of a "standard of civilization" was routinely deployed to determine that certain peoples in the world were "uncivilized", and lacking organized societies. That position was reflected and constituted in the notion that their "sovereignty" was either completely lacking, or at least of an inferior character when compared to that of "civilized" people." Lassa Oppenheim said "There exists perhaps no conception the meaning of which is more controversial than that of sovereignty. It is an indisputable fact that this conception, from the moment when it was introduced into political science until the present day, has never had a meaning which was universally agreed upon." In the opinion of H. V. Evatt of the High Court of Australia "sovereignty is neither a question of fact, nor a question of law, but a question that does not arise at all." Named after the 1648 Treaty of Westphalia, the Westphalian System of state sovereignty, which according to Bryan Turner is "made a more or less clear separation between religion and state, and recognized the right of princes 'to confessionalize' the state, that is, to determine the religious affiliation of their kingdoms on the pragmatic principle of cuius regio eius religio." The Westphalian model of state sovereignty has increasingly come under fire from the "non-west" as a system imposed solely by Western Colonialism. What this model did was make religion a subordinate to politics, a problem that has caused some issues in the Islamic world. This system does not fit in the Islamic world because concepts such as "separation of church and state" and "individual conscience" are not recognized in the Islamic religion as social systems. By contrast, the declarative theory of statehood defines a state as a person in international law if it meets the following criteria: 1) a defined territory; 2) a permanent population; 3) a government and 4) a capacity to enter into relations with other states. According to declarative theory, an entity's statehood is independent of its recognition by other states. The declarative model was most famously expressed in the 1933 Montevideo Convention. Article 3 of the Montevideo Convention declares that political statehood is independent of recognition by other states, and the state is not prohibited from defending itself. In contrast, recognition is considered a requirement for statehood by the constitutive theory of statehood. State practice relating to the recognition of states typically falls somewhere between the declaratory and constitutive approaches. International law does not require a state to recognise other states. Generally speaking, states are durable entities, though it is possible for them to be become extinguished, either through voluntary means or outside forces, such as military conquest. Because states are non-physical juridical entities, their extinction cannot be due to physical force alone. Instead, the physical actions of the military must be associated with the correct social or judiciary actions in order to abolish a state. It has been argued that one potential reason as to why the existence of states has been controversial is because states do not have a place in the traditional Platonist duality of the concrete and the abstract. Characteristically, concrete objects are those that have position in time and space, which states do not have (though their territories have spatial position, but states are distinct from their territories), and abstract objects have position in neither time nor space, which does not fit the supposed characteristics of states either, since states do have temporal position (they can be created at certain times and then become extinct at a future time). Also, abstract objects are characteristically completely non-causal, which is also not a characteristics of states, since states can act in the world and can cause certain events (though only by actions taken on their behalf through a representative). Therefore, it has been argued that states belong to a third category, the quasi-abstract, that has recently begun to garner philosophical attention, specially in the area of documentality, an ontological theory that seeks to understand the role of documents in understanding all of social reality. Quasi-abstract objects, such as states, can be brought into being through document acts, and can also be used to manipulate them, such as by binding them by treaty or surrendering them as the result of a war. Another theory of the ontology of the state is that the state is a spiritual or "mystical entity" with its own being, distinct from the members of the state. The German Idealist philosopher Georg Hegel (1770-1831) was perhaps the greatest proponent of this theory. The Hegelian definition of the state is "the Divine Idea as it exists on Earth." ↑ 31.0 31.1 Staff writers (20 February 2008). "Palestinians 'may declare state'". BBC News. British Broadcasting Corporation. Retrieved 2011-01-22. <templatestyles src="Module:Citation/CS1/styles.css"></templatestyles>:"Saeb Erekat, disagreed arguing that the Palestine Liberation Organisation had already declared independence in 1988. "Now we need real independence, not a declaration. We need real independence by ending the occupation. We are not Kosovo. We are under Israeli occupation and for independence we need to acquire independence". 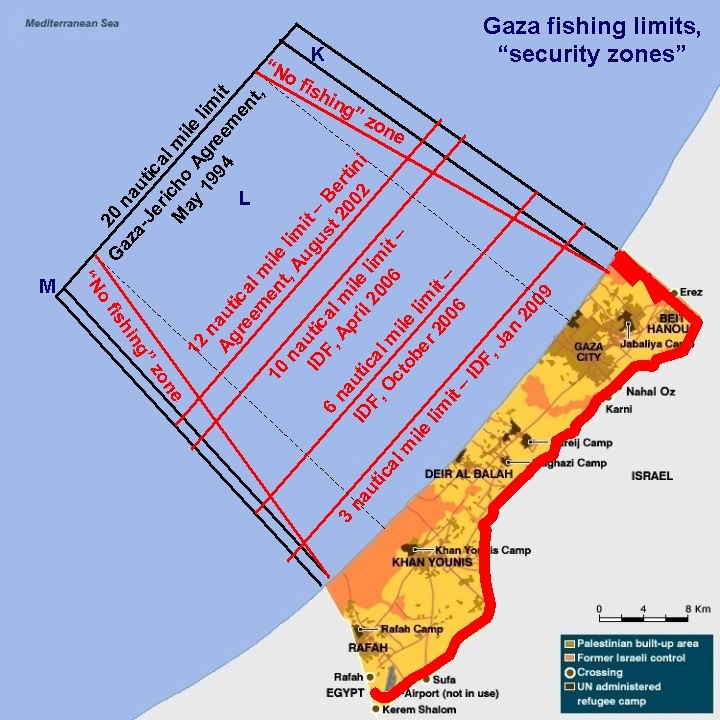 ↑ 32.0 32.1 B'Tselem - The Israeli Information Center for Human Rights in the Occupied Territories: Israel's control of the airspace and the territorial waters of the Gaza Strip, Retrieved 2012-03-24. ↑ Fundamentals of Government, pg. 71 (citing Hegel's Philosophy of History, trans. J. Sibree [New York: Wiley Book Co., 1944]). This page was last modified on 23 May 2016, at 16:26.